Hotels in Swansea - Exclusive Hotel Swansea, BOOK now! Stayed at Mirador on visit to Swansea and what a great choice. From great welcome to zaney rooms. Host Phil even booked us table at local restaurant. Breakfast was lovely with good selection. Defo for return visit. 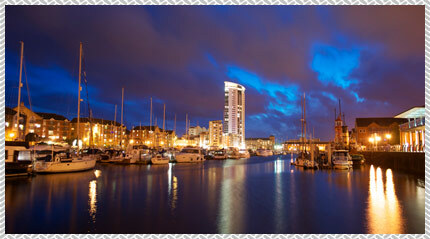 Looking for a Hotel in Swansea with luxurious accommodation in the heart of the City. The Mirador Hotel is situated just one mile from Swansea's bustling city centre; perfect for the disgruntled businessman; yet on the edge of the infamous Gower Peninsular whose beaches pay homage to the countryside that surrounds them. Here The Mirador Town House lay bespoke; tailor made for your requirements. It is within these hotel walls, you will discover a subtle break from reality, be it business pressure - or social pleasure. Its uniqueness is apparent and appealing, its divergence is different from anywhere else, yet it remains unquestionably bespoke: Custom made for a discerning customer. For the past 4 years running; The Mirador Boutique Town House Hotel in Swansea has been awarded the TripAdvisor 'Certificate of Excellence' and Top Rated 'Simply The Guest' Awards by LateRooms.com! It is the perfect retreat for travellers and guests alike to rest in one of our boutique double bedrooms or King-Size bedroom suites. So call us today and reserve a short-break at this exclusive hotel in the City of Swansea with a difference! Call us now to reserve a room 01792 466 976.